What’s the first thing you notice when you look at a book? The cover right? It plays an important part in attracting readers to a book before they find out what the book is about. I feel not enough spotlight is put on the people behind these book covers and the work they do. So I decided to interview Thy Bui who has designed several book covers including the covers of The Boy who Steals Houses, The Hawkweed Legacy, The Astonishing Colour of After and Everless. Etinosa : Tell us a little bit about yourself, Miss Thy Bui. 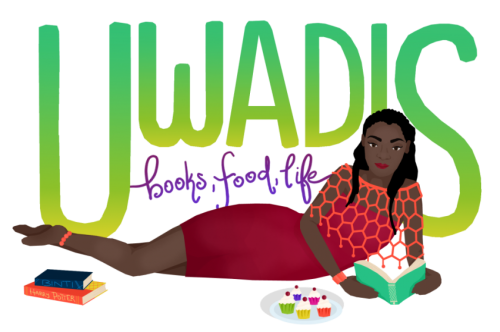 Etinosa: How did you become a book cover designer and illustrator? Thy Bui: I started my career as a Designer at Warner Music and after a couple of years moved into book publishing. My first job in publishing was as a Designer for Orchard Books, and a few years later I took on an Art Director role at Hachette Children’s Group. What I enjoyed most about my job when I was in-house was the design and lettering/illustration side. I found as my role became more senior, I had less time to do the part of the job I liked. I decided to go freelance and focus on being more hands-on with the cover artwork. Etinosa: What is your creative process when designing book covers? I then sketch out some loose ideas and digitally artwork the concepts I think are the strongest. This step is usually done while listening to podcasts. For some reason, I find passively listening to background conversation less disruptive than listening to music! Out of these a handful is selected and sent to the Art Director and/or Editor for feedback. Etinosa: What is the most challenging book cover you ever had to design? Etinosa: You designed the book cover of The Boy who Steals Houses by C. G. Drews, can you tell us what inspired you and the creative process you took in designing it? TB: I explored a few directions for the cover using motifs and themes in the book– keys, embroidery, houses, the mysterious boy, the colour yellow. However, this first round of ideas was thought to be too graphic. The author and Orchard Books were after something with real emotional pull. I went back to the drawing board and made emotional pull and the main character the focus. I wanted to capture a sense of the main character’s vulnerability and the idea of him being swamped/haunted by the life he had inadvertently built for himself – the collection of stolen keys that surround him. Etinosa: What is your least favourite thing about designing book covers? Etinosa: Do you have any advice to new artists who would like to start a career in designing book covers? Etinosa: Who are your favourite book cover designers? Thy Bui is a designer, letterer and illustrator based in London. You can find her other works on her Website and Instagram. Chat time! Did you enjoy reading this interview? Are you as excited as I am for Cait’s new book, The Boy Who Steals Houses? What are some of your favourite book cover designs? Lets chat in the comments. P.S: A version of this interview first appeared on Book Riot. Affiliate links are included in the post, all commissions earned go to supporting this blog. Wow, love the seeing before pics of The Boy Who Steals Houses .. they are all amazing, but love the one that became the cover. Thank you. I agree, they all are amazing but the final cover takes the cake. I’ve always admired the cover for The Astonishing Color of After, it is so pretty! Looking forward to reading more on the creative book cover process! Yeah, the yellow is really consistent, I wonder if it’s because it’s a Goldilocks retelling. Yay, you got a copy, that’s so cool. Welcome to my little corner of the Internet where I talk about books, food and life in general. Im a Nigerian bookworm who loves watching anime and spends way too much time daydreaming. Glad to have you here! I am an affiliate of Amazon and Book Depository. Buying books through my links earns me a small commission, at no extra cost to you, which goes mainly to supporting my blog. If you love my content please support me by using my affiliate links. Thank you.